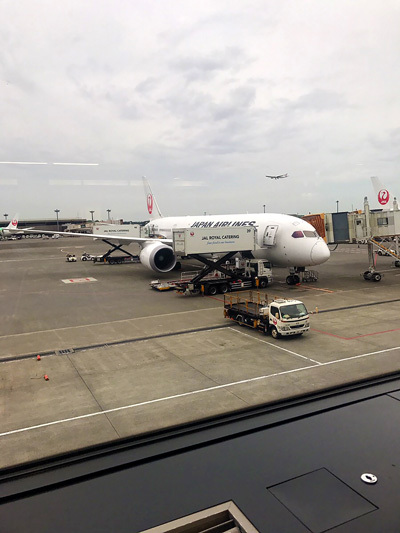 The JAL flight from JFK to Haneda was one of the most comfortable I had been on. 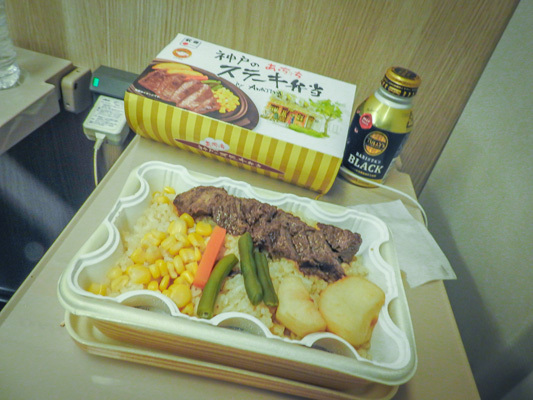 I was impressed by the quality of the in-flight meals, and how much they have improved over the years. 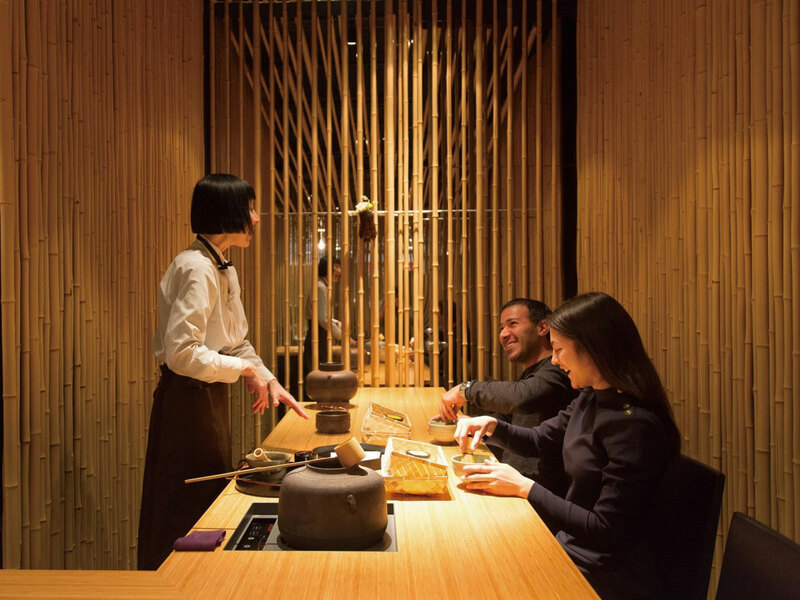 Being able to experience a tea ceremony with the beautiful Kengo Kuma-designed space was also very special. 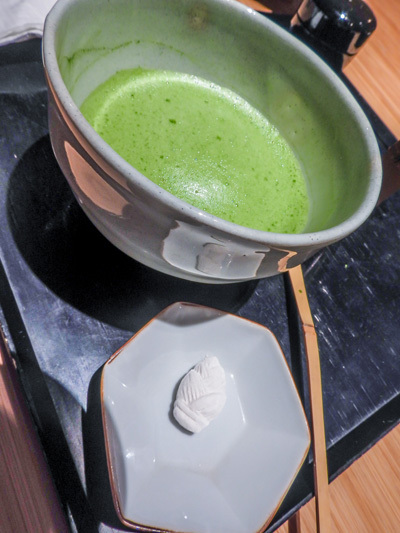 Many people may have the chance to participate in a tea ceremony, but it was rare to be able to actually learn how to do it ourselves. And the friendly, English-speaking staff were also very helpful. 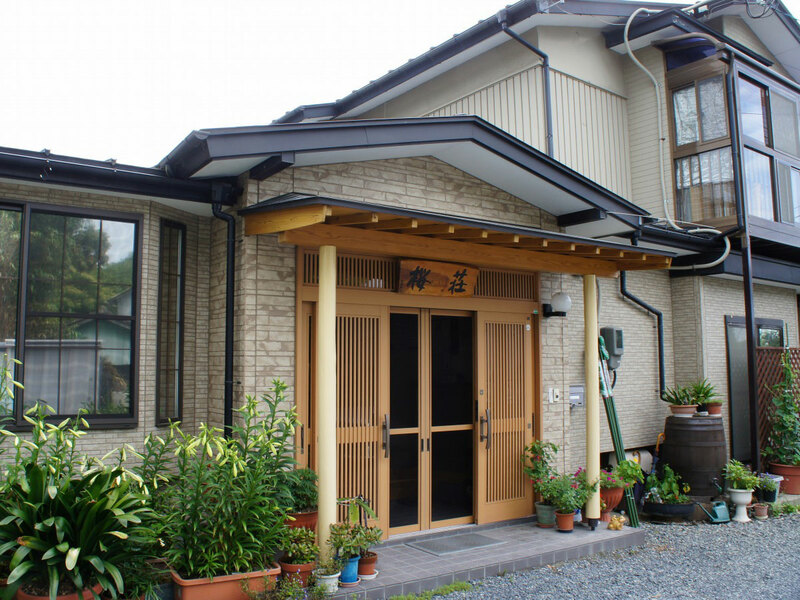 Jugetsudo is an amazing tea shop and tea ceremony room. 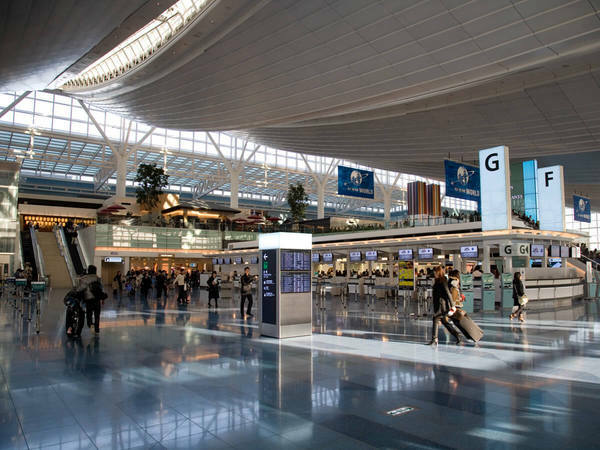 Designed by architect Kengo Kuma who designed the 2020 Tokyo Olympic stadium. With the relaxing Japanese garden attached to it, it made for a wonderful place to learn and experience the mysteries of Japanese tea. A tea master was very versed in the history of tea. He was also very adept at showing us the proper techniques of tea preparation. 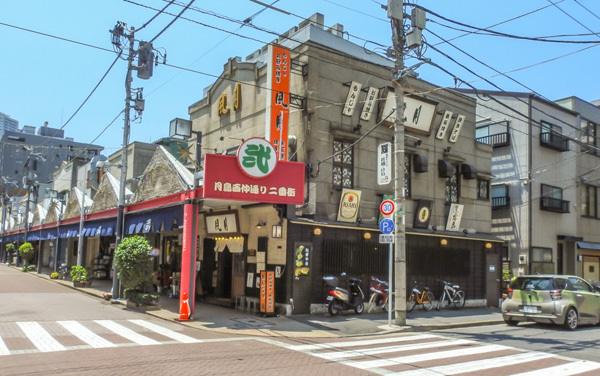 The interactive museum attached to the Kabukiza theater made learning the history of kabuki fun. 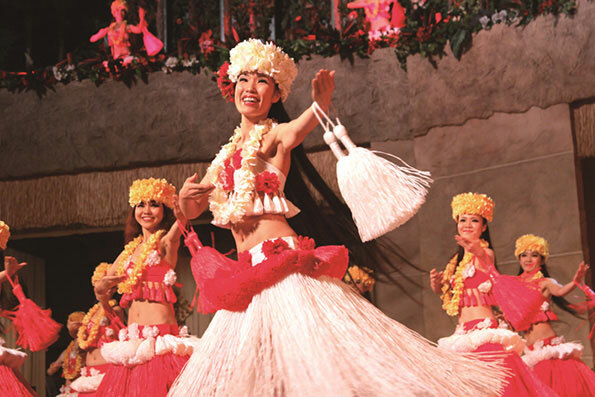 The museum does a great job to help one learn about the long traditions, work and dedication that go into putting on these beautiful works of art. Tsukishima was a very fun area to walk around. The small pathways were very fun and intruiging, as well as photogenic. It was a neighborhood with a unique feel from the rest of Tokyo. 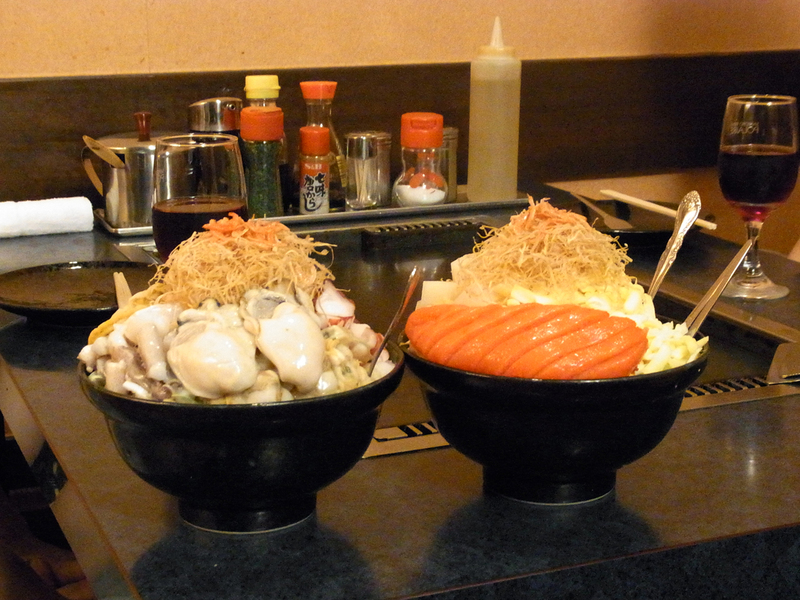 Komachi felt like a very authentic restaurant where locals probably eat. And the monja-yaki was delicious. Good ingredients and a helpful staff who make the food for you made this an enjoyable experience. Has the unique feel of downtown working-class Tokyo. 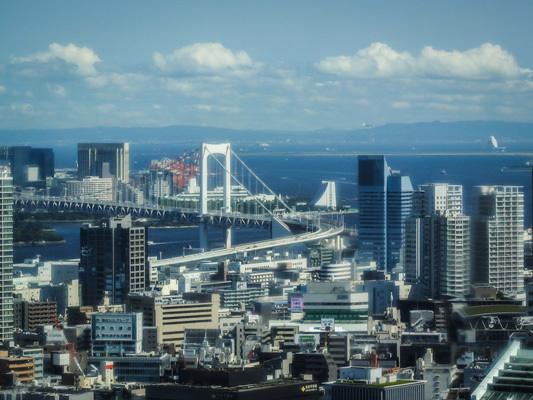 It imbeds the feel of real Tokyo, but not with the overwhelming crush of tourists. 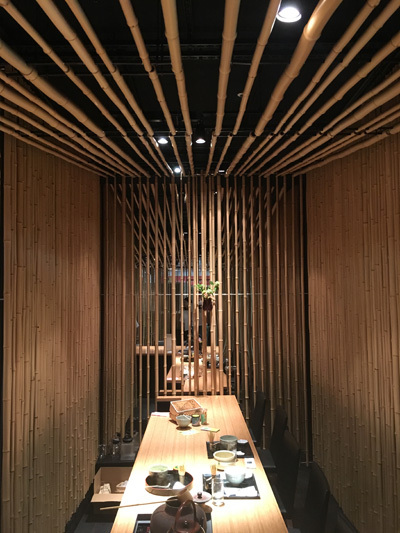 Komachi had the feel of a warm working-class restaurant. Monja-yaki, a flour and water-based dish with meat and vegetables that is cooked on an iron grill at the table, is a close relative of okonomiyaki (Japanese-style pancake) has a wonderful layered flavor. It's understandable why Tokyo Tower is such a popular tourist destination. 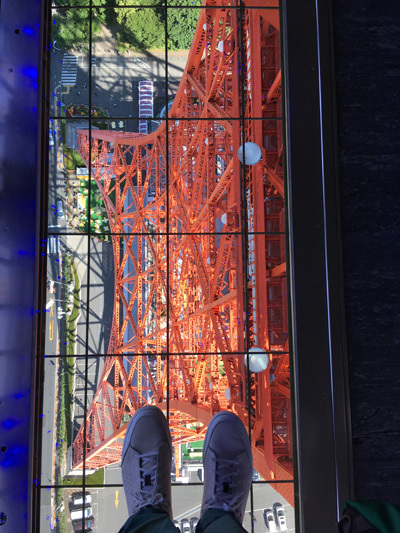 Despite the crowds, it truly offers a fun experience to rise above the sprawling Tokyo metropolis and take in all the views. 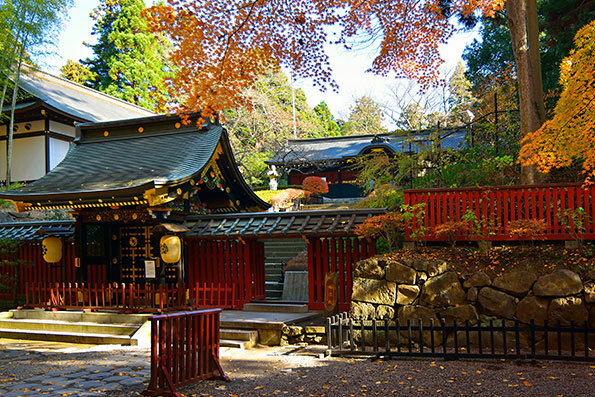 The nearby Zozoji Temple was a very nice contrast because you escape the crowds and noise into a serene environment. The "Eiffel Tower of Tokyo" is a recognized landmark in the city. 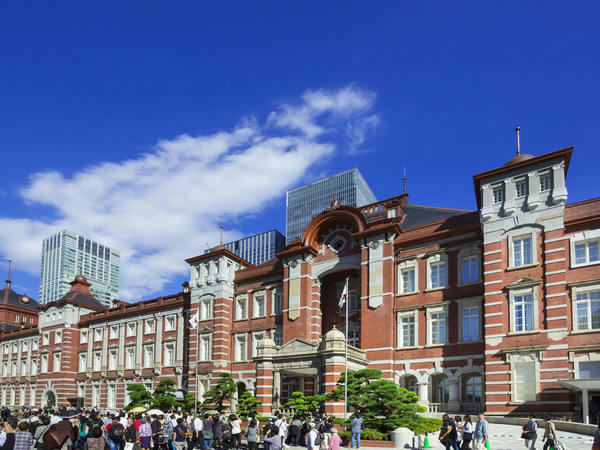 The views of urban Tokyo from modern to historic are not to be missed. 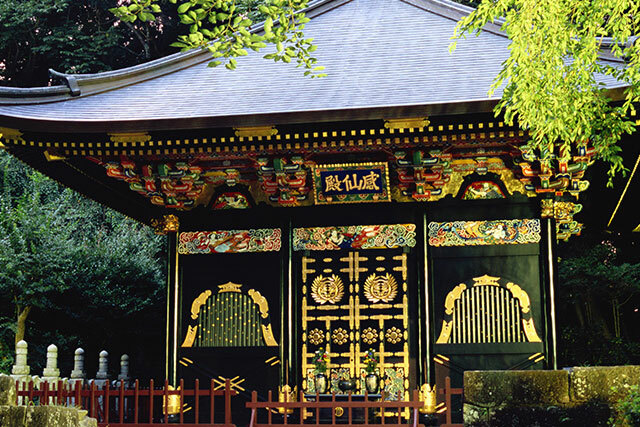 The Zojoji Temple near the base of the tower is one of the most important temples in the history of Tokyo with many unique features. 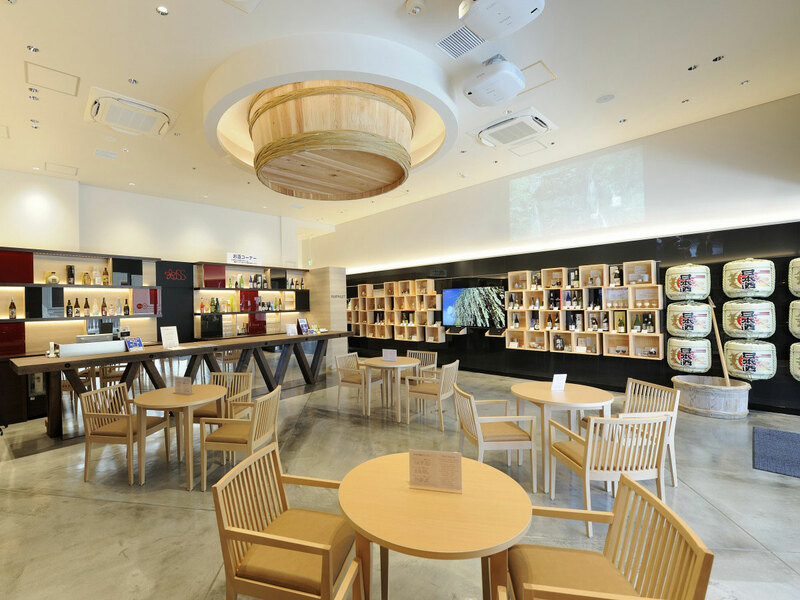 A facility for the promotion of 1700 sake breweries and authentic shochu breweries across Japan, the Japanese Sake and Shochu Information Center invites you to "see," "touch," and "experience" Japanese alcohol. 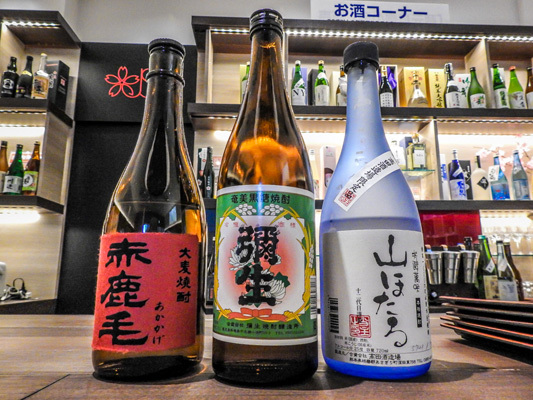 You can always taste over 80 types of sake at reasonable prices. 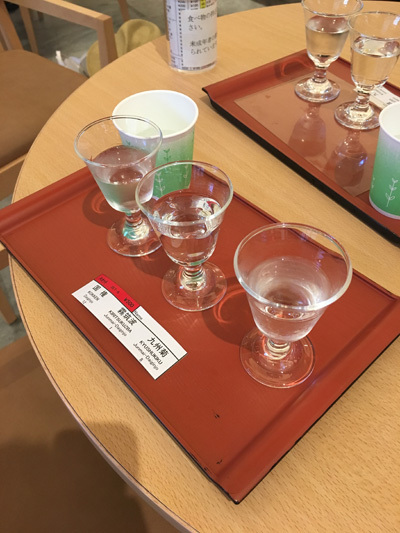 The center also offers sets that enable you to compare the taste of various sake and shochu made with different raw ingredients, as well as new brews and seasonal sake such as warmed sake. Enjoy warmed sake in a traditional sake bottle with a sake cup. Japan Sake and Shochu Information Center is located within a nondescript office building, which makes it feel like a hidden secret. 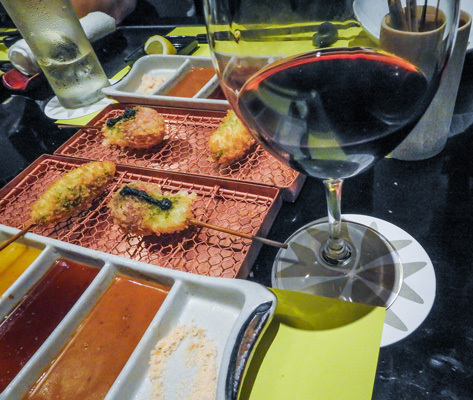 For a very reasonable price they offer tastings of sake and shochu that include 3 different pairings. It was great to be able to compare different varieties (like daiginjo and junmai-daiginjo), as well as try sake from different regions of Japan. Being able to try shochu was also an additional bonus. The space itself, although small, was well designed and included nice details like a large wooden barrel on the ceiling. Visitors could also purchase bottles of sake and shochu directly, which was nice. Kushi Agemono Shuns was a wonderful restaurant that served kushi-age: hunks of meat, seafood, and vegetables breaded with panko and deep fried. 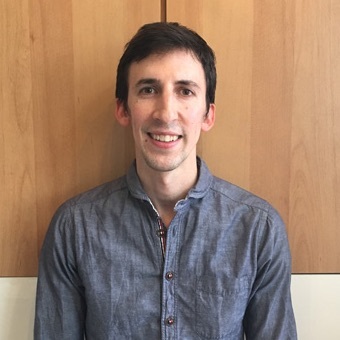 The restaurant itself had a luxurious ambiance with spectacular views of the city, a trait that is sure to be appreciated by many locals and tourists. 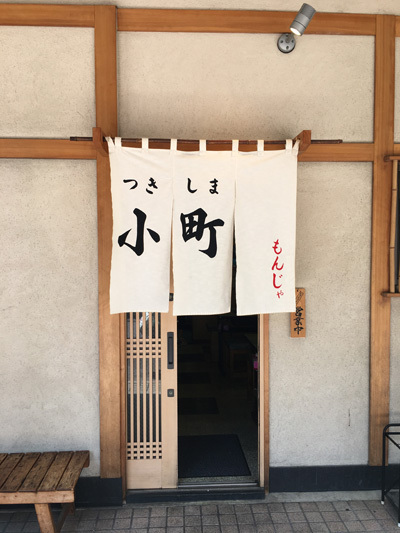 This is the go-to place to learn all there is to know about sake and shochu (a distilled spirit). It has a wealth of free materials to help educate oneself on these uniquely Japanese beverages. Those on a budget will also appreciate tasting a wide variety of sake and shochu for a reasonable price. A wonderful location for dinner. 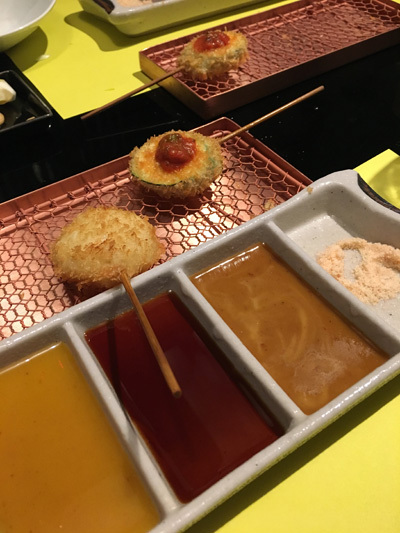 The restaurant "SHUNS" was elegant, but had a relaxed atmosphere. 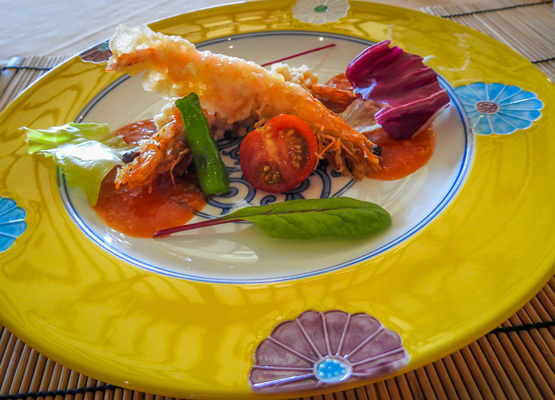 The freshness and variety of the food and accompanying sauces made for many wonderful flavors to be enjoyed. It was also a good time to use our newly acquired knowledge of sake to pair it with the foods served. 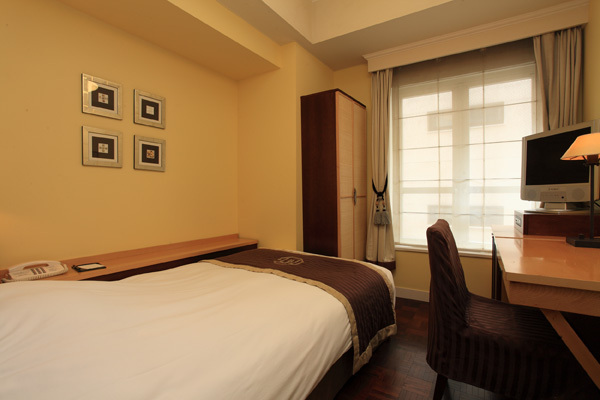 We stayed at the Hotel Monterey Ginza, an affordable hotel ideally located in central Ginza. The bed was comfortable and I had a very relaxing stay. The Hotel Monterey in Ginza has a comfortable feel. 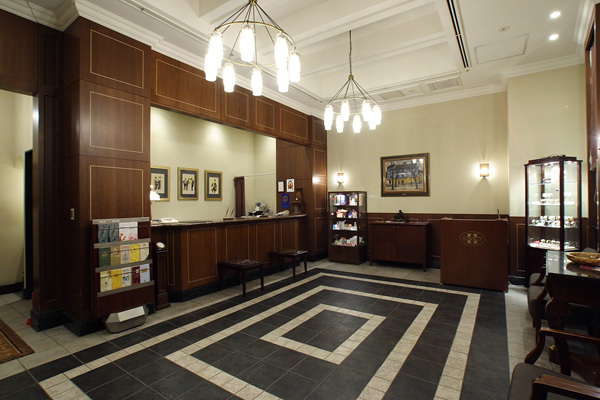 The rooms have all you need, even many outlets for people's ever-increasing number of electronic devices. The location also makes it great to get around Tokyo and out for a stroll around Ginza. 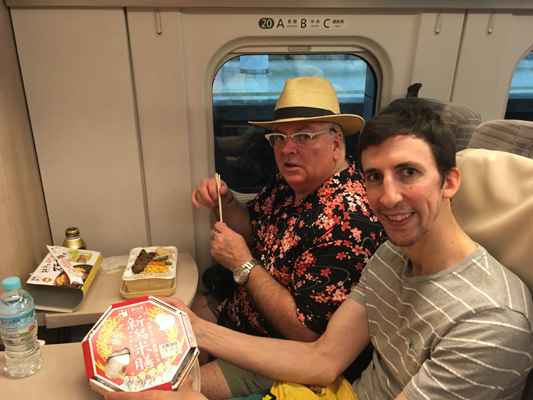 Tokyo Station offers so many Ekiben options that it can be a little overwhelming.The bento was delicious and eating it on the shinkansen while we travelled out of Tokyo was very enjoyable. 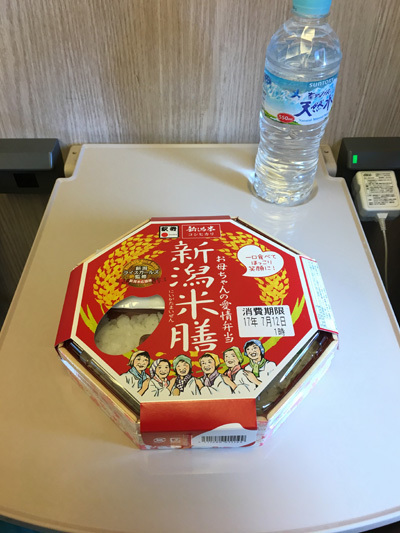 The number of ekiben, train station bento, sold at stations throughout Japan is mind boggling. Many stations sell ones that feature local produce from that region. They are very tasty and nutritious and go great with beer or sake. It is difficult to overstate the joys of riding the shinkansen. The trains are so punctual and everything works so smoothly. We took the shinkansen from Tokyo to Sendai. We arrived before I knew it. 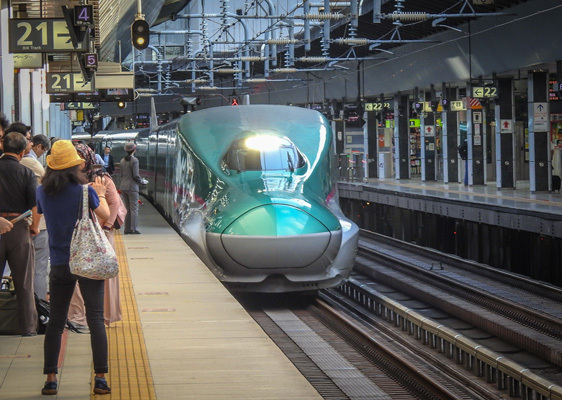 What can one say about Japan's shinkansen that has not already been said? 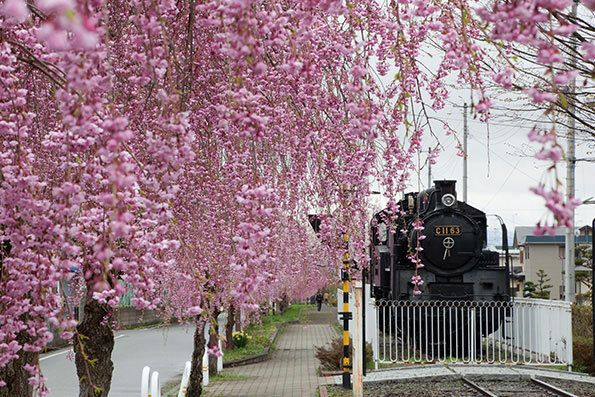 Punctual, clean, very fast and comfortable; it’s the way to see Japan's shinkansen! 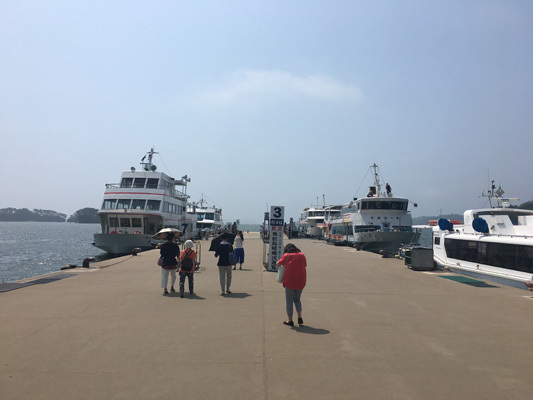 Upon arriving at Matsushima Kaigan Station (which is an adorable little station) we walked to the dock and took a 1-hour boat trip that circles the bay and followed the route explored by Japanese haiku master Matsuo Basho that inspired him to write a series of poems. 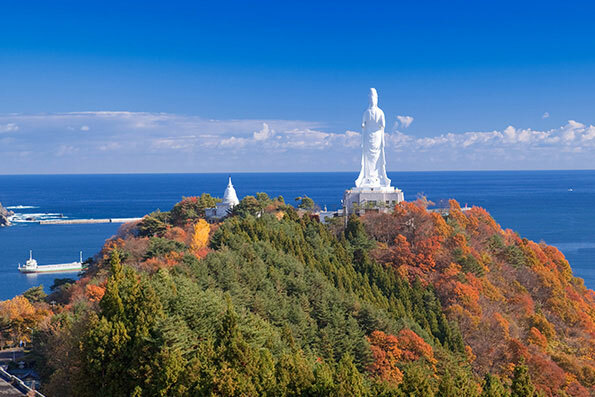 With Miyagi Prefecture facing the Pacific Ocean, it is no surprise that the region is blessed with some of the most beautiful island scenery in the country. It was amazing getting up close to the artwork of mother nature. 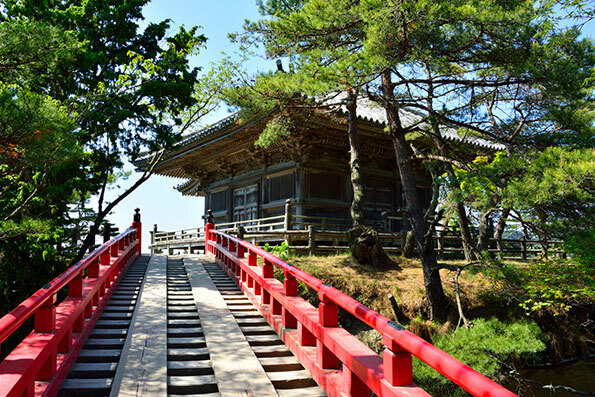 A few steps down the pier is Godaido Temple and the vermillion bridge connecting it to the coast. 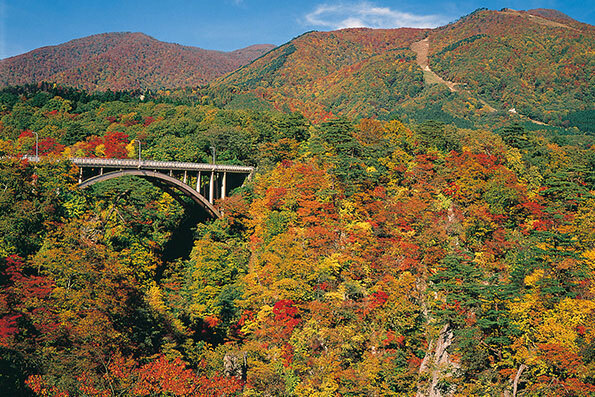 The present structure was reconstructed by Date Masamune, the renowned and powerful lord who ruled Miyagi. Walking around the temple you can see some fantastic craftwork that includes the zodiac animals carved into all four walls. 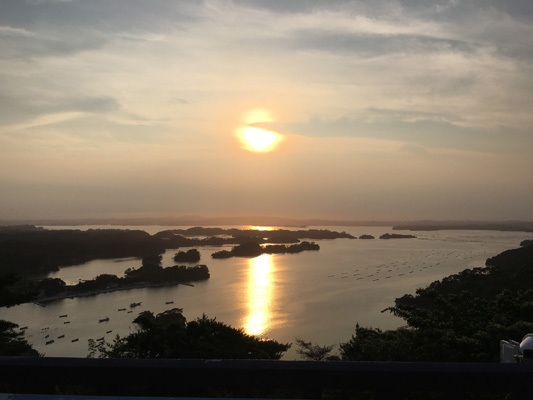 The island Godaido-jima, where Godaido is located, is surrounded by the bay of Matsushima and its beauty can be appreciated from all corners. 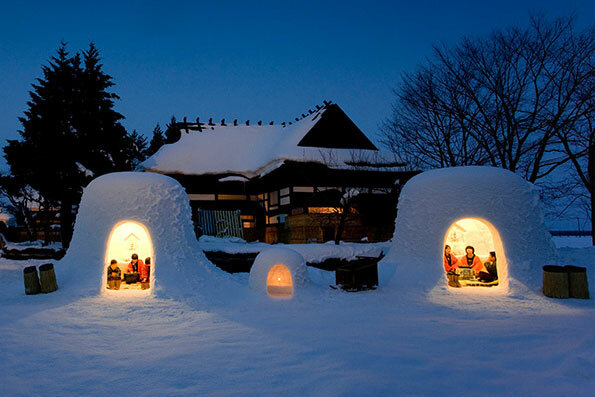 Hotel Ubudo is an exotic hotel. It has a luxurious feel that extends from the main entrence to the rooms and then up to the roof where its rotemburo (outdoor bath) overlooking the bay is jaw-droppingly fabulous. 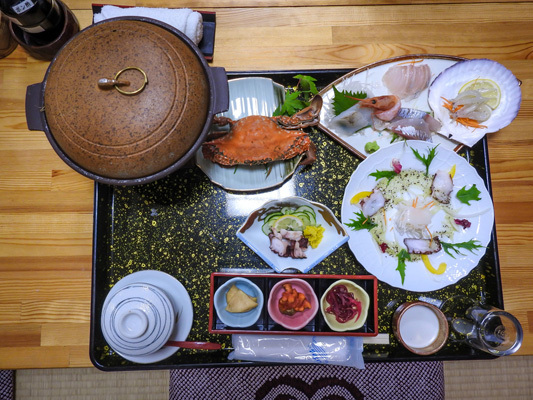 Our lunch at Hotel Ubudo was a lavish kaiseki affair that showcased the rich variety of local seafood. 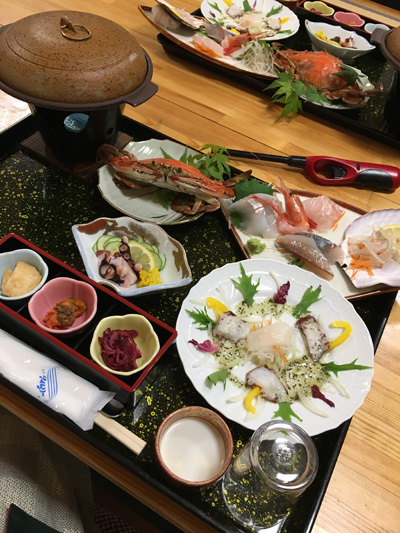 Everything was delicious but I especially enjoyed the sashimi, which we were told was caught locally. 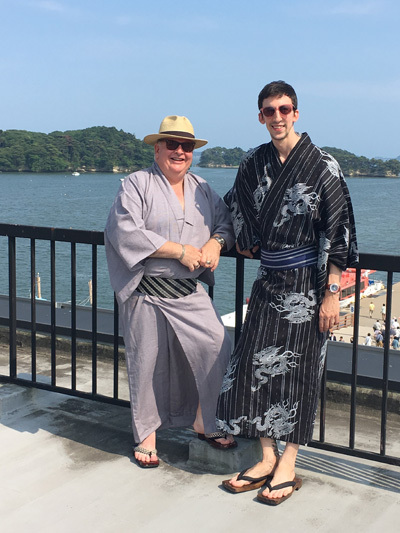 It's not very often that you get to try on a kimono, but at Matsushima we went to Ume Luv Rental Kimono where we were able to pick out one from kimonos or yukatas that we liked, try a yukata on and stroll around Matsushima. I think many people might be hesitant because kimonos or yukatas are difficult to tie but the owner is very kind and attentive and helped us tie everything. It was a warm day but yukatas are surprisingly cool and allow for air to pass through, so they were actually very comfortable. 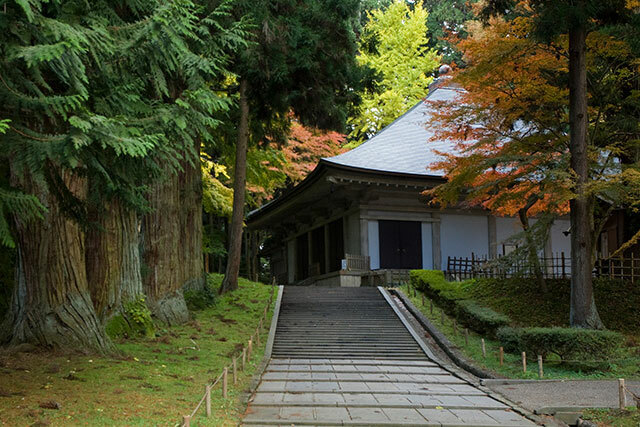 Matsushima's best-known structure is one of the most famous Zen temples in northern Japan. 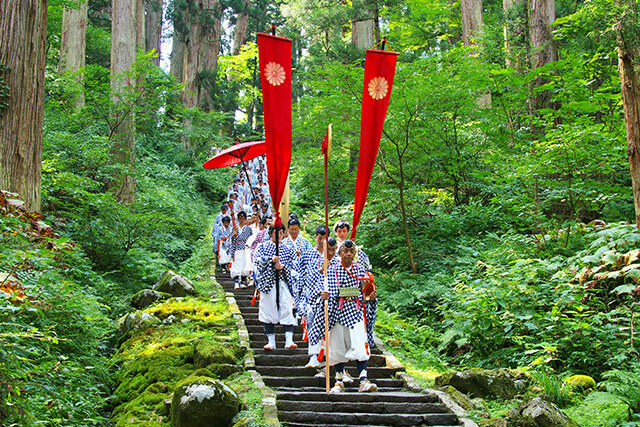 From the minute we entered the grounds of Zuiganji it felt so peaceful. The green carpet below the trees was not green grass but beautiful bright moss. 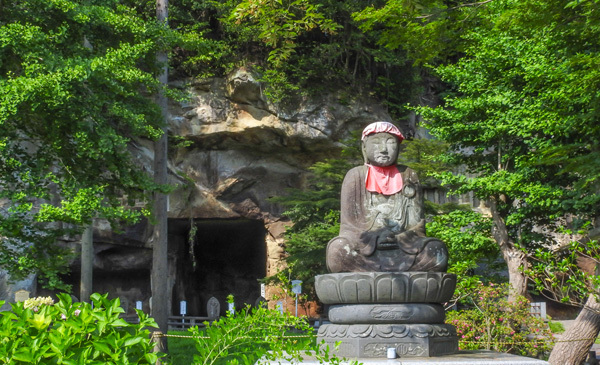 Along the pathway leading to the temple were caves dug out by priests long ago and adorned with beautiful Buddhist statues. A large gate was being renovated but once we passed through we saw the impressive main hall, a large wooden structure. But it's the temple's interior that impresses, especially the wood-carved transoms and brilliantly painted, gold-plated fusuma. 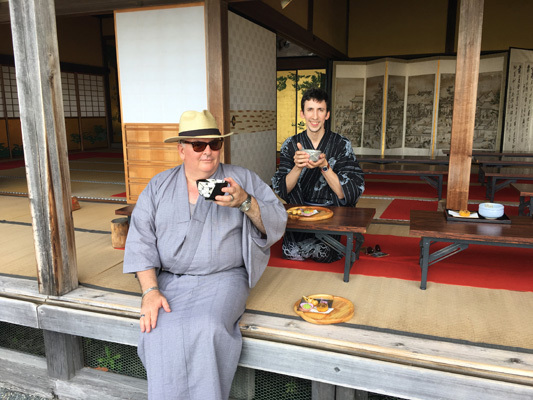 It felt particularly special to be walking around in a kimono. At times I felt as though I had been transported back into time, hundreds of years ago. After Zuiganji we walked back to the port and stopped off at the wonderful and quaint Kanrantei Tea House. 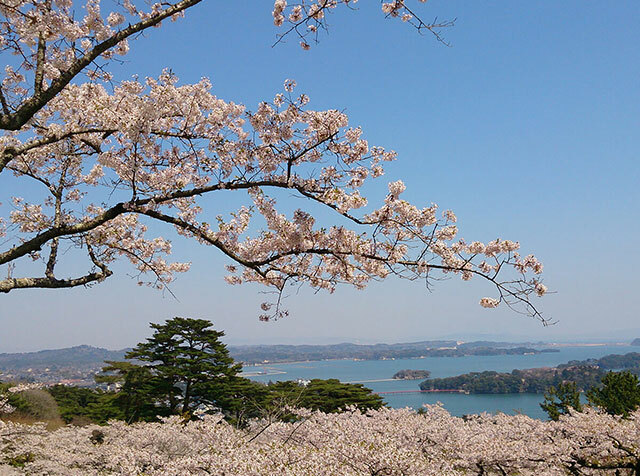 From our seats we could look out onto the bay and in our kimono it was easy enough to imagine having tea with Date Masamune. The tea and sweets that were served were delicious and this was the perfect place to rest. The boat trip was very enjoyable. 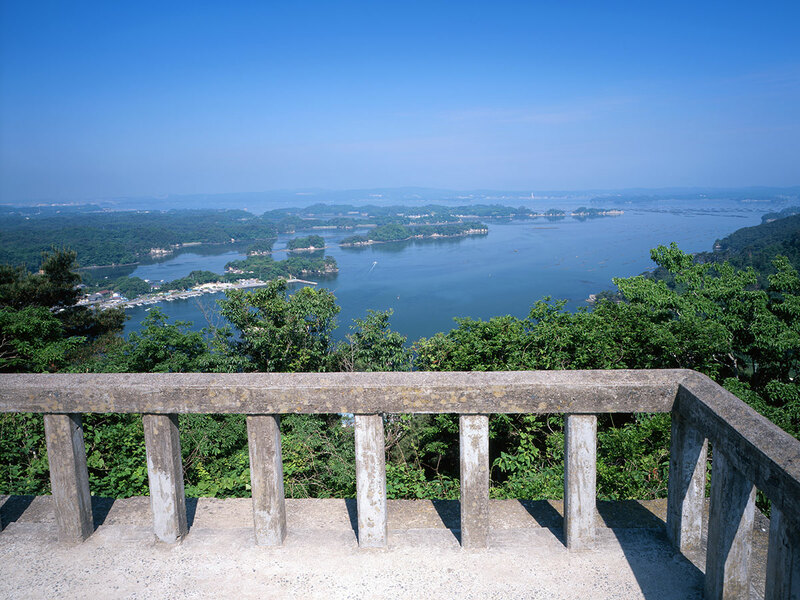 Matsushima Bay is considered one of the top-three views in Japan and it lives up to its reputation. Being out on the water seeing the many pine islands, seagulls and smelling the ocean brings on a relaxed feeling. 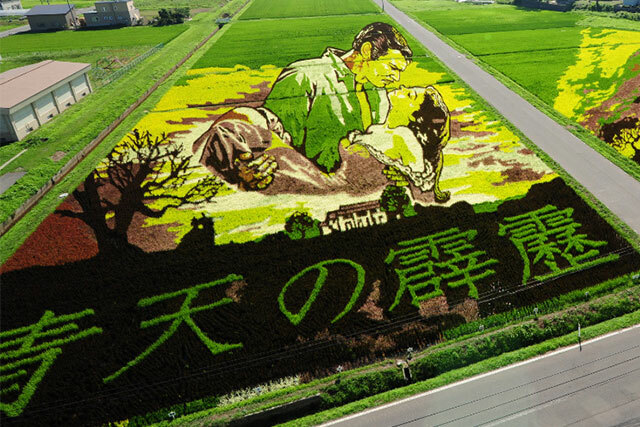 It truly is one of Japan's premiere locations. 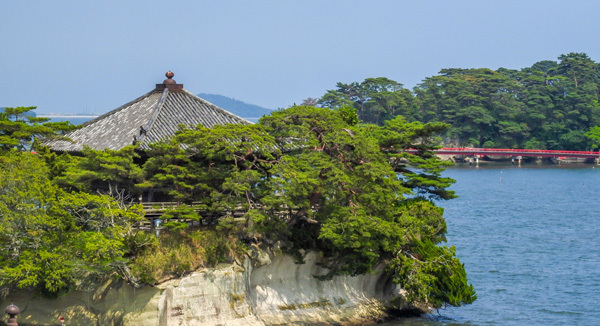 This tiny temple sits on this small island in Matsushima Bay.This impressive temple dates to 1604 and has many wonderful reliefs carved into it, including the 12 signs of the Chinese zodiac. The bridge that connects the island to the mainland has very wide spaces between its slats, so those who are afraid of heights might find crossing the bridge somewhat daunting. 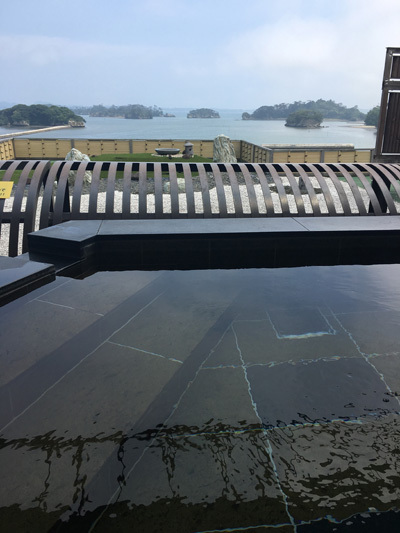 Bathing at the Hotel Ubudo's rotenburo (outdoor bath) with its sweeping views of Matsushima Bay was spectacular! The waters of the bath leave the skin silky smooth and the soul refreshed. 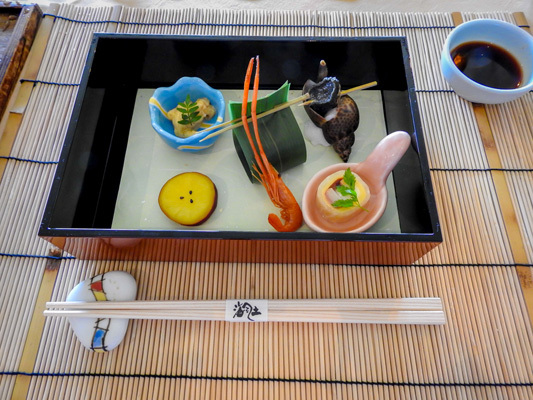 Enjoying a kaiseki (traditional multicourse) lunch at this elegant, yet accessible hotel with a friend made us look forward to the rest of the day. The amazing dishes and tastes that were served will not soon be forgotten. There is a free onsen foot bath just in front of the hotel for all to use. 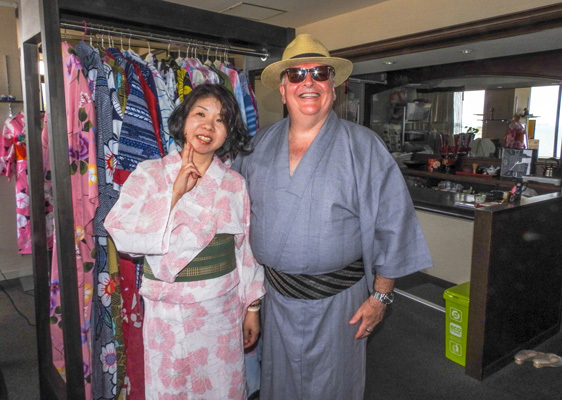 Ume Luv Kimono rental supplied us with a fun experience! The owner of this wonderful shop was pleasant and helpful. Dressing up in kimono and walking the streets adds a whole new level fun to your day. Going up to the roof to take pictures with the beautiful overview of the bay was an added bonus. The history and ambience of this temple which dates back to 828 should not be missed. The beauty and artwork contained within and outside its walls make going there worth the time. 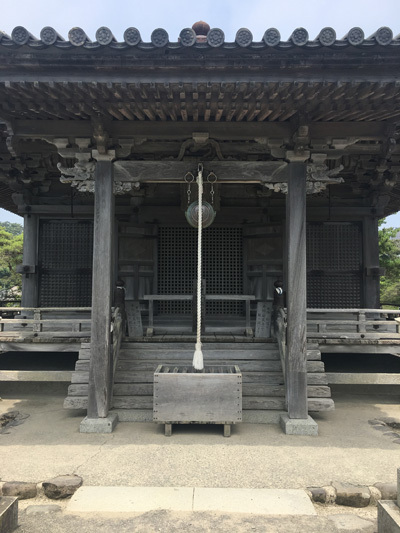 This family temple of Date Masamune, the renowned and powerful lord who ruled Miyagi, has served the people of Matsushima well over its long and storied history right up to the present, as this was where many evacuated during the 2011 Great East Japan Earthquake and tsunami. 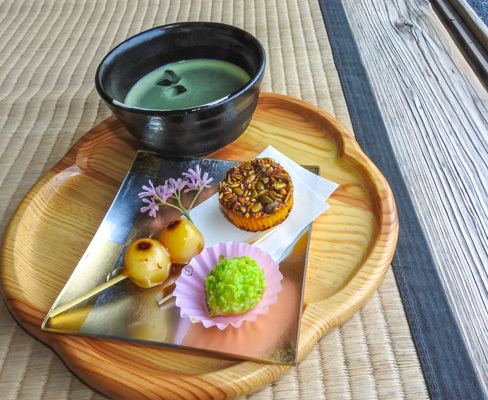 Enjoying matcha and sweets at Kanrantei Tea House while taking in the expansive views of the bay fills one with relaxation and brings on a contemplative mood. A little before dusk we went to Otakamori and began our 30-min hike to the top. 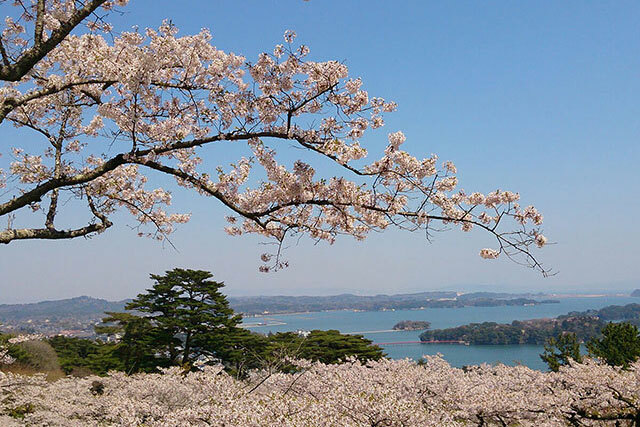 As we approached the top, a dramatic view of Matsushima Bay opened up in front of our eyes and it was spectacular. The sun was setting so we stayed up there for about 20 mins and watched the sun set. Although there were some clouds, each moment the sky changes and it's a view that you'll never get bored of. 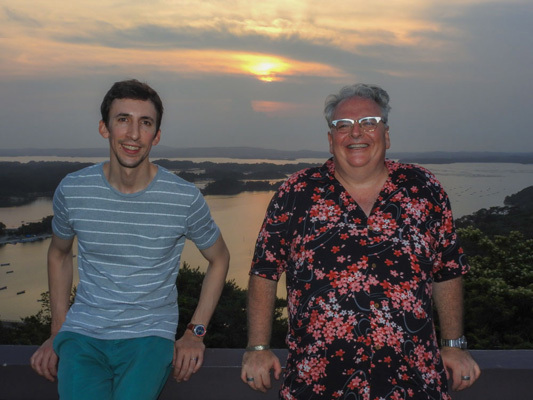 The views at sunset over the inland sea are spectacular! A lovely way to end the day. That evening we stayed at Chidorikan.There were no bells and the rooms were very basic but they were clean and comfortable, which made for an enjoyable stay. And the location, just steps from the water, was perfect because you could hear the relaxing sound of the waves at night. 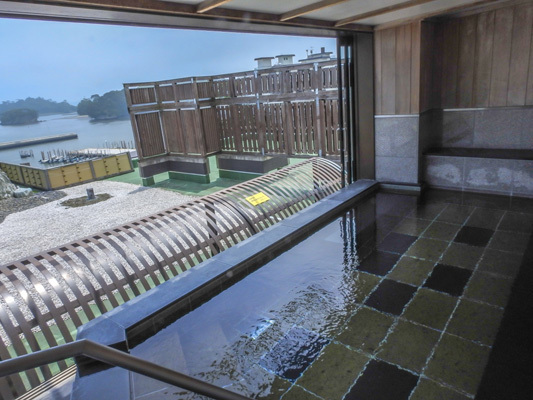 Chidorikan is a new, clean, comfortable ryokan (Japanese inn) reopened in 2014 after the original was swept away in the 2011 tsunami. Moved to a safer location farther from the coast, it offers lovely rooms. The friendly staff was always more than helpful. The meals were well prepared and very tasty. 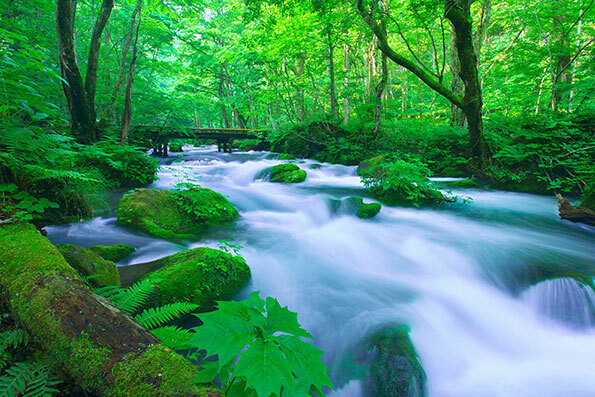 A great place to escape the hustle and bustle of the city and reconnect with the beauty of nature. 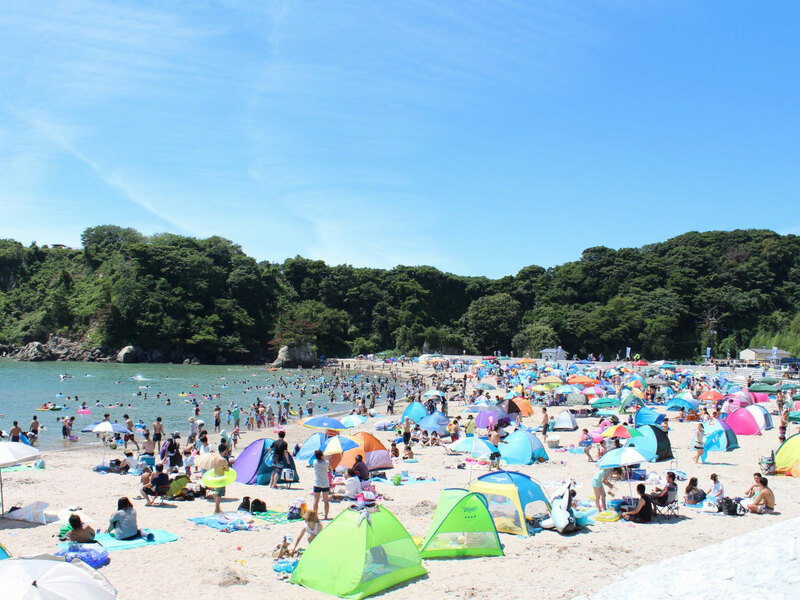 At the southern tip of Miyato-jima, this is a popular place for families due to the relatively gentle waves. 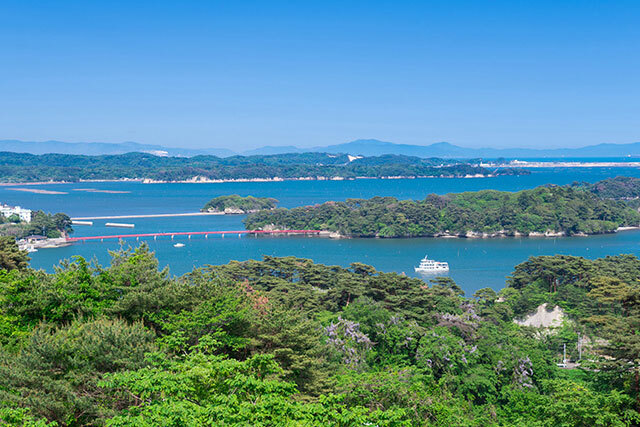 You can enjoy a range of experiences in the rich natural environment of Oku-Matsushima all year round, as well as activities such as the banana boats when the public beach is open. 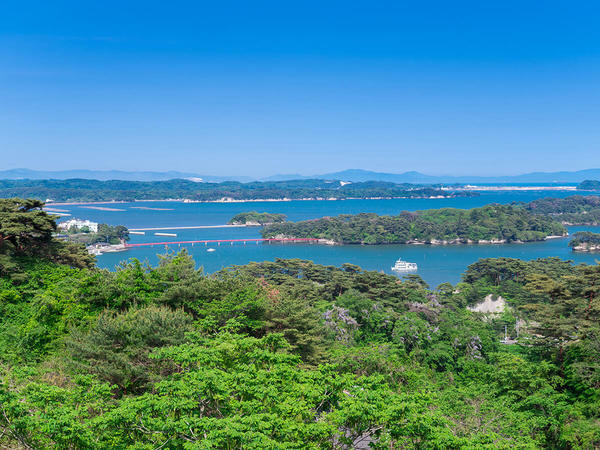 Here you can savor Oku-Matsushima's natural world to your heart's content with an ocean experience, or experience fishing as taught by a working fisherman. Why don't you take up a challenge in the refreshing sea air? The next morning we tried sea kayaking, which was strenuous but fun. The kayak allowed us to row quite far out and when we got tired there were a few islands with small beaches that we could paddle up to and get off. That was quite excting. Ｎext we got on a motor boat and were allowed to experience actually driving and steering the boat which was quite scary! But it was very memorable.Lastly, we were able to experience kagoryo (basket fishing), which is a traditional method of catching fish in Japan. 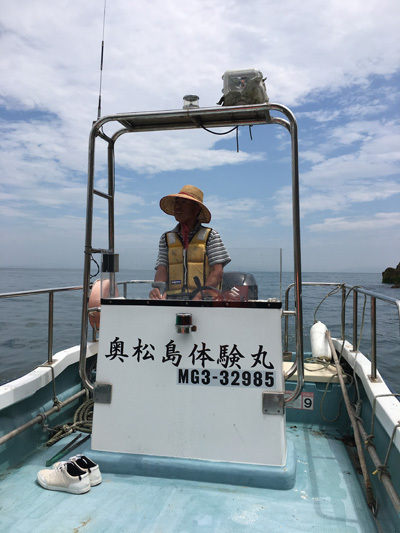 Getting to pilot a Japanese fishing vessel on the inland sea and beyond was an exhilarating experience. 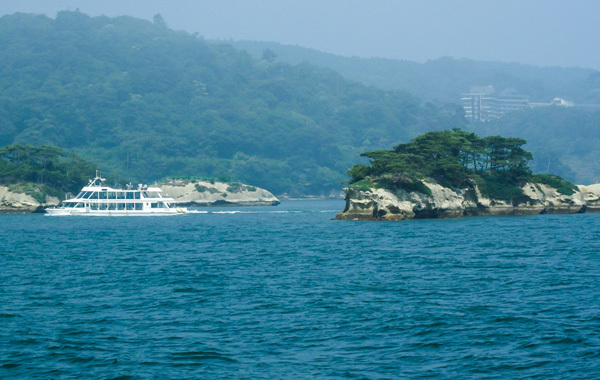 Seeing the many natural wonders up close from the boat and catching the varied sea creatures made for a lovely time. 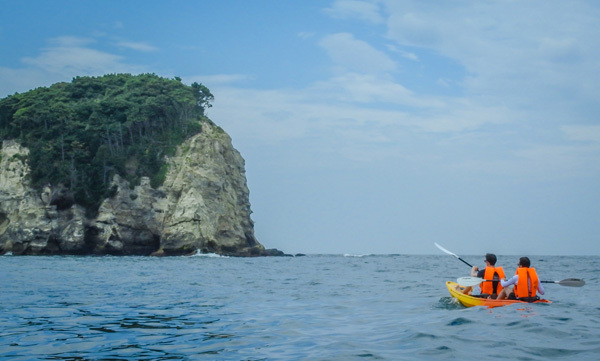 Johnny got to experience a sea kayak, which he loved and recommends it as an activity for those visiting this area. Before we headed back to Sendai Station we stopped off at the Earthquake Memorial Museum. 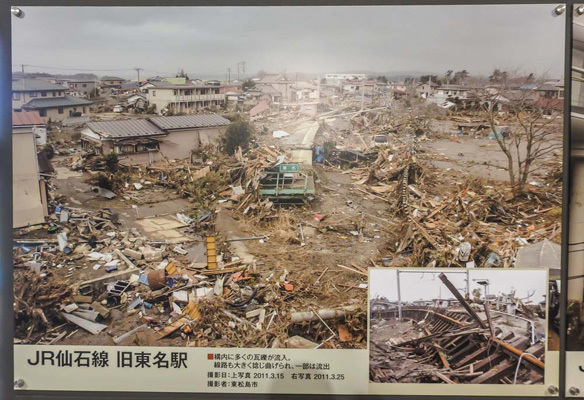 Here, there are many photographs of before and after the tsunami. There are also artifacts (like an old train ticket machine) that have been damaged from the tsunami. Looking out the window, you could see an old train station and it proved to be a valuable time to reflect on the tsunami, but also all the progress and recovery that has been made. 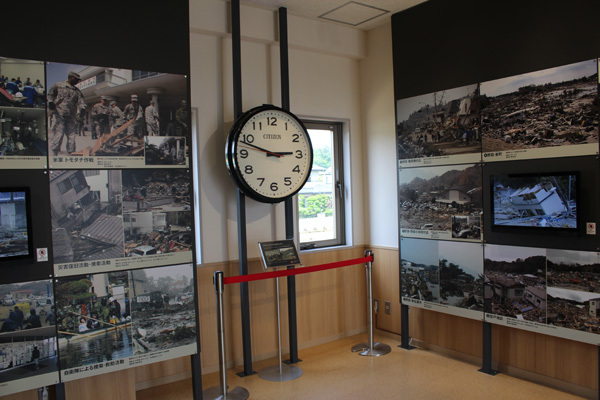 This museum is an important resource to learn about and understand the overall events of the 2011 earthquake and tsunami that devastated this area. An important stop on your trip to remember all who lost their lives that fateful day. 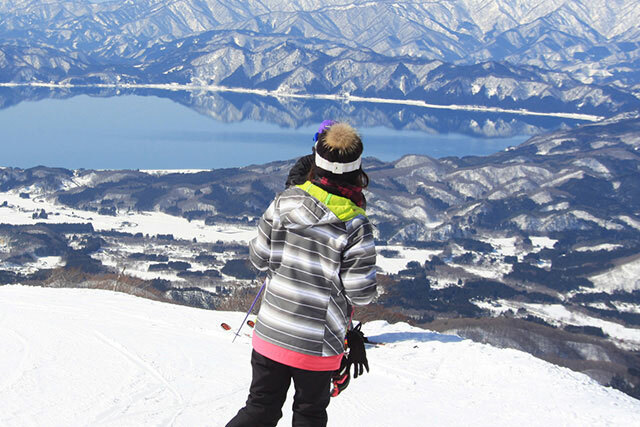 A great hub for all points in Miyagi. 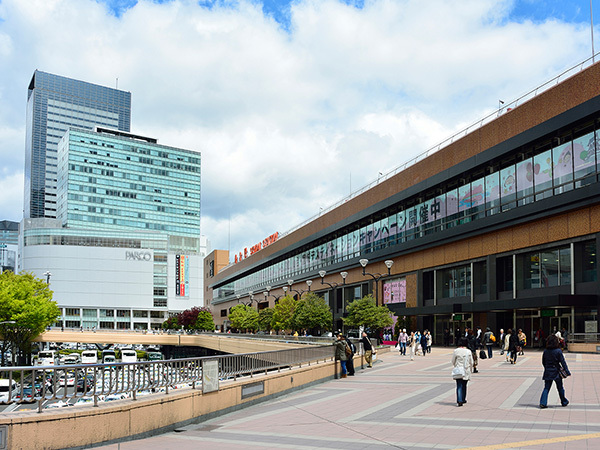 Many fine shops and restaurants are contained in the station. 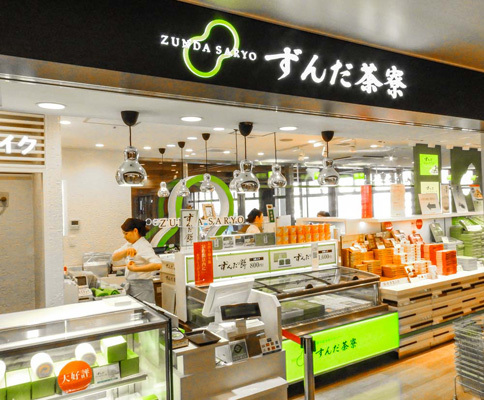 I got to try zunda, a local favorite made from soybean and sugar it comes in many forms, shakes, ice cream or the traditional form served with mochi. I must say it's very tasty and delicious! A spacious station, and as always in Japan, an extremely clean station. Overall, this was a fantastic itinerary. It was one that included locations and activities that most tourists don't get to experience, or don't even know about. In that sense, it was very valuable. And I was pleasantly surprised how accessible everything is. 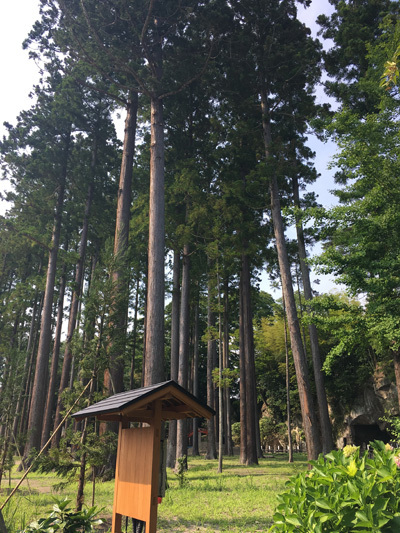 I got to see and experience a side of Japan that I did not know! 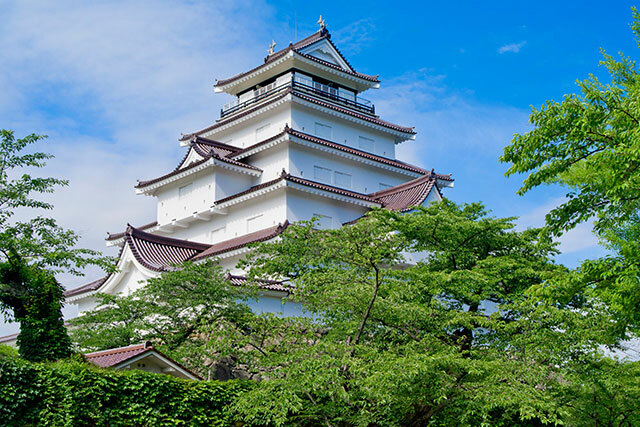 Overall, as tourism increases in Japan every year, this tour from Tokyo to Miyagi Prefecture is a great way to take in the history, nature, sightseeing spots, wonderful food and lovely places to stay. 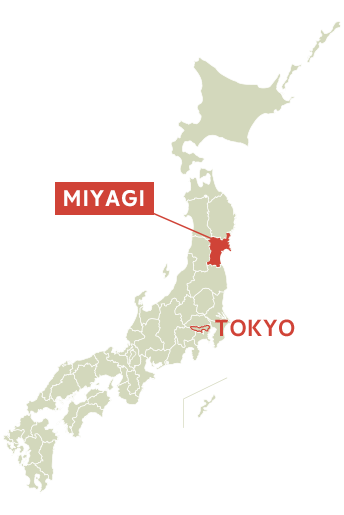 Miyagi is not inundated with as many tourists as other parts of Japan so if you want to experience the best Japan has to offer, this is the place to explore! 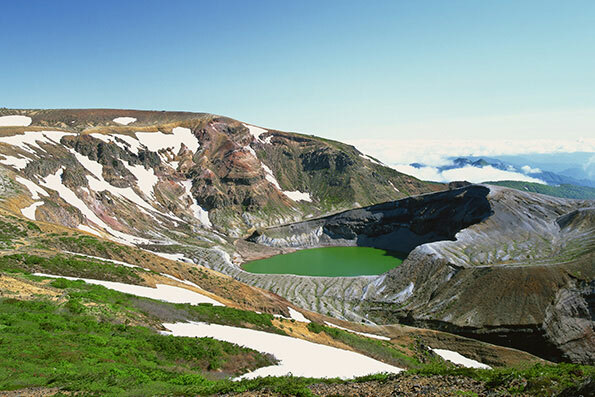 For this tour we spent 1 day in Tokyo and 2 days in Miyagi Prefecture. It was a wonderful experience because it highlighted many lesser known but equally attractive locations and activities in Japan. 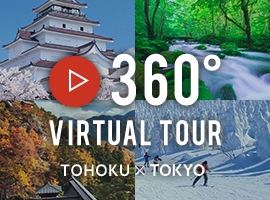 I would recommend this tour to anyone who wants to experience Japan on a deeper level, beyond some of the more common tourist sites. The tour was very well planned out. It covered a nice number of sites that one could enjoy without being overwhelmed.